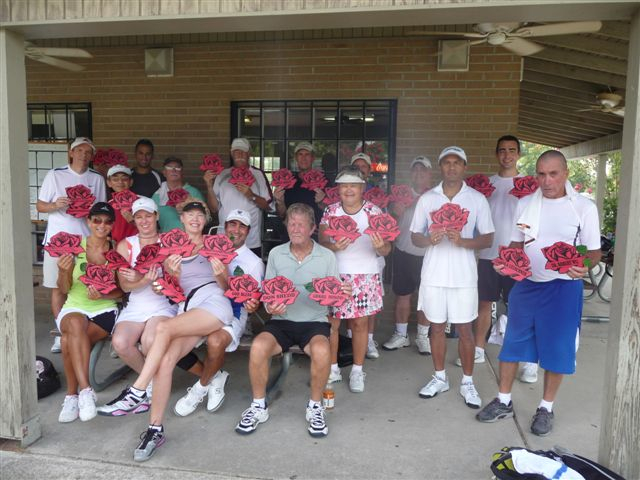 HPTA Members display just a few of the Rose Sponsorships, donated to the Cystic Fibrosis Foundation by HPTA members, friends and participants in the Jim Crane State Farm Highland Open tennis tournaments. You do not have to be an HPTA member to play in the round robin, but membership has its rewards. A single, annual membership is only $20 and a family annual membership is only $30. Those memberships entitle you (and your family in the case of a family membership) to play the round robin for only $5 per person. That’s a savings of $3 from the guest fee, and that means that you recoup your membership fee if you only play five times the whole year. Memberships start every July 1 and end the following June 30. Persons or families who join between January and June pay 1/2 year fees ($10/single and $15/family). 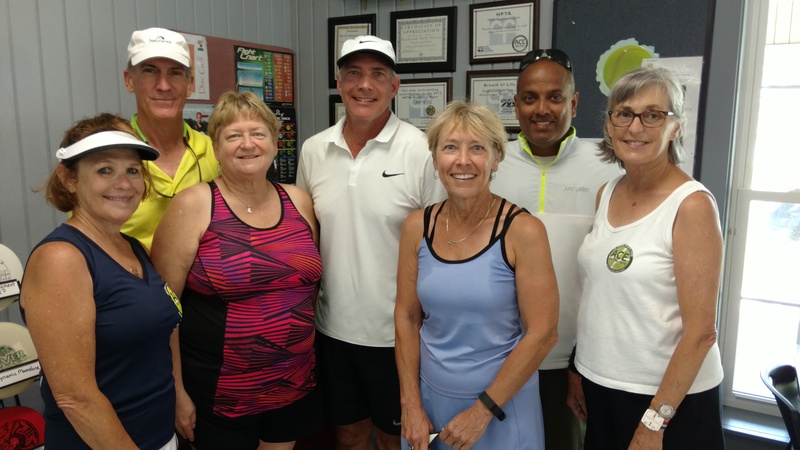 In addition, we sponsor various events for our members throughout the year where FREE TENNIS and FREE FOOD are offered as a way of showing appreciation for our members. HPTA remains committed to the vision of our founder, Eleanor Owens, that the Highland Park Tennis Association provides a weekly opportunity for all tennis players, beginners and advanced, to enjoy the sport we love at the HPTA Round Robin and to promote tennis for everyone in our area. We welcome suggestions and/or comments regarding the operation of YOUR organization. The HPTA officers and I strive to make this association the best it can be. Thank you again for placing your confidence in us, and let’s make 2017-18 the best year EVER.